Tokyo-based firm, Yukai Engineering has developed a robotic messenger named as BOCCO. There are many robots available in the market. Most of them are used to for performing some complex tasks and help in productivity. BOCCO serves a different purpose. 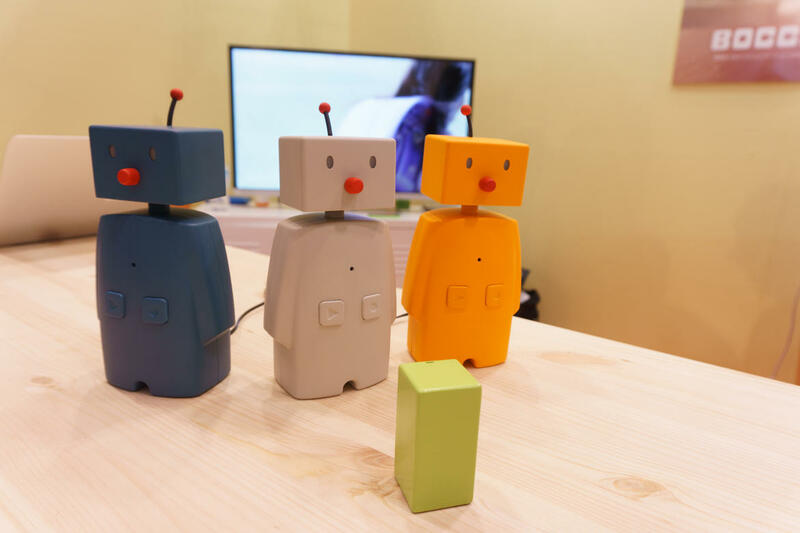 BOCCO is s device aimed at kids and people staying away from their family or close ones. The main purpose of the device is to help as a communication medium. It can also help visually impaired and differently abled persons. If you order the “Kickstarter Edition”, you will receive an orange BOCCO, and by ordering the “Custom Edition”, you will receive a BOCCO which has been custom-painted by a Japanese artist. The robot has a dimension of 90mm x 55mm x 195mm which is roughly the size of a doll. It is easy to hold in one’s hand. This Wi-Fi enabled robot can exchange messages to and from smartphones using the corresponding app on iOS and Android. It uses gestures for a new notification like when a message pops up, it will lit up its eyes and shake its head along with a sound. The nose of BOCCO serves as a volume control. The robot has buttons – one for recording the voice messages and second playing the audio messages. It has the option to read aloud a text message to the user. BOCCO also includes a motion sensor that can be installed on a door to receive notifications regarding any to and fro activity from the door. The motion sensor is packed with a three-axis acceleration sensor to detect movement along with a BLE module and a powerful AAA batteries. 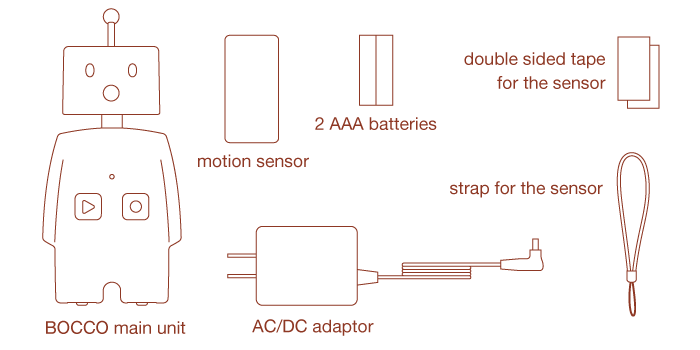 BOCCO also has Low energy Bluetooth and LED controller equipped in it. Because of its design, it can be a great alternative to smartphone especially to children who can feel it as a toy and enjoy its presence.